Since the weather was so nice today Andrew and I got out to the park. We met Conner and her daughter Ruby Jane there. 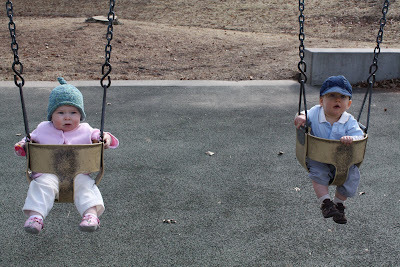 The kids played together and enjoyed the swings. It was nice to be outside enjoying the 65 degree weather. He is just sooo handsome. 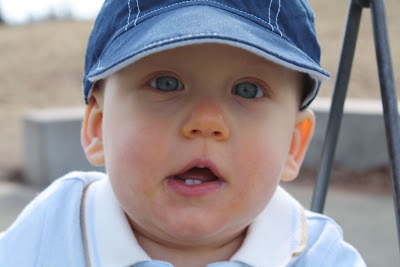 I especially like that last close-up pic with his cute baby expression!